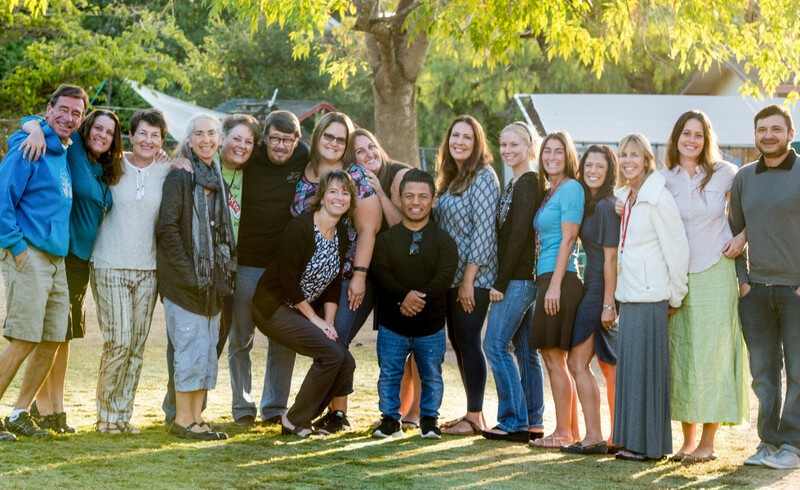 Teachers at Santa Barbara Charter School are educational leaders. Teachers determine the curriculum in line with the Common Core State Standards, Santa Barbara Charter School’s Education Plan, and the needs and interests of the students. In order to implement the curriculum, teachers provision their classrooms by purchasing educational equipment, materials, and supplies with school funds. Their jurisdiction is the administration and implementation of the Education Plan, direction of the class, and supervision of paid and volunteer staff who work with children. During school hours, a teacher’s primary responsibility is to focus on children and attend to their academic, social, emotional and physical needs. Teachers have the responsibility and privilege of planning and implementing the program in their classes on a daily basis. Part of this charge is making sure that adults always treat children in a way that is respectful and developmentally appropriate. Teachers are responsible for ensuring the welfare of the whole class as well as striving to meet the needs of individual children as much as possible within a heterogeneous classroom. Teachers are responsible for planning class configuration in a way that meets the educational needs of both the individual and group. Teachers assign the use of classroom space in the way that best facilitates the creation of a positive learning environment. Teachers are responsible for creating a structure within which students can explore, learn, thrive, and create. Besides teaching to traditional academic objectives, teachers are responsible for facilitating the development of problem-solving and interpersonal communication skills. Educating children demands that teachers continue to grow and develop professionally. To this end, teachers use both formal and informal opportunities to further professional growth. Such opportunities include, but are not limited to, reading professional books and journals, participating in Teachers Council, attending in-service training, visiting other schools, attending conferences, doing collegial coaching, participating in pilot programs, and obtaining fellowships or advanced degrees. Parent participation and input is an essential element in the functioning of Santa Barbara Charter School. The school was started by parent initiative and thrives as a result of continuous parent involvement. The cooperative nature of this school allows parents to be essential partners in their children’s education. This partnership provides enrichment and stimulation to parents, as well as allowing them to affect the quality of their child’s education. Parents are involved in all aspects of the school’s operation. In conjunction with the educational staff, parents help guide the school towards the realization of its mission. Parents fulfill a myriad of administrative duties, participate in work groups and the Circle of Trustees, raise funds, act as specialists, work as aides, drive for field trips, serve as class coordinators, provide office support, maintain the site, and prepare classroom materials. The physical presence of parents on campus during the school day improves the adult/child ratio. Time that parents spend with their children, helping with homework and providing enrichment, has a significant impact on the students’ education. Such participation enriches the educational program and makes the school financially viable. More importantly, parent participation sends a strong and clear message to children that education is a significant family value, making education seem relevant and important. The presence of parents within the classroom also helps to smooth the transition between home and school. The presence of parents influences the climate and direction of the school significantly. Therefore, it is important for each parent to educate him/herself about child development, basic educational philosophy and practices, and the demands of participating in a cooperative. Such self-education is made possible by reading recommended books and articles, participating in the parent education workshops sponsored by the school, and taking classes. Education at Santa Barbara Charter School is child-centered. Our goal is to prepare each student to be an active participant in a democratic society. Students strive and excel at Santa Barbara Charter School because the whole child is nurtured. Students are active learners and teachers. They are encouraged to take responsibility for their own learning as much as is developmentally reasonable. Self-direction and self-motivation develop in children as they are given this responsibility. Continuously reflecting upon their own work facilitates the students’ understanding of themselves, and allows them to articulate their strengths, weaknesses, and needs as learners. Students at SBCS are encouraged to build on their own strengths and pursue their own interests as they participate in a predetermined curriculum. They develop respect for themselves and others by participating in meaningful shared activities, individual conferences, and an anti-bias multicultural program. Children learn individually and in groups. They participate in decision making whenever it is possible and appropriate. While such participation is valued and encouraged, children are also guaranteed that boundaries will be provided, so that they can learn and grow at their own pace, in a safe environment. Students develop inner self-discipline and citizenship skills. Students are the focal point of the Santa Barbara Charter School community. They are vital group members as well as individual learners. As group members, students have responsibility for helping to create a beautiful learning environment as well as performing basic chores to maintain the classrooms and site. Students also act as peer and cross-aged tutors and mediators. Students learn conflict resolution skills in kindergarten through eighth grades. All are trained to be Peace Makers during fifth grade. Santa Barbara Charter School is an expression of commitment to the Santa Barbara community, affirming support for public education by creating an alternative for families who want to be actively involved in a non-traditional school setting. Community service projects are an integral part of the core curriculum. Such projects help develop ethical literacy and social participation skills. These projects help students learn to recognize the dignity of the individual, understand that the ideas people profess affect their behavior, realize that concern for ethics and human rights is universal, and develop the skills for actively participating in community and political life. Community resources are utilized for both core and enrichment activities. Frequent field trips allow children to explore the Santa Barbara area. Grants and programs which strengthen the interaction between SBCS and the community at large are sought and help vitalize the school. Continuing research, articulation, and implementation keeps the Santa Barbara Charter School Education Plan dynamic. The Charter framework gives parents and teachers a unique opportunity to be partners in the educational program. This partnership has resulted in the creation of a non-traditional program which is developmentally based. The curriculum, methodology, and environment facilitate the development of excellent academic skills, while creativity, good decision-making, communication, independent thinking, self-esteem, and a love of learning flourish. We couldn’t be happier with our choice of Santa Barbara Charter School. They teach the whole child, not just the skills found on a standardized test.